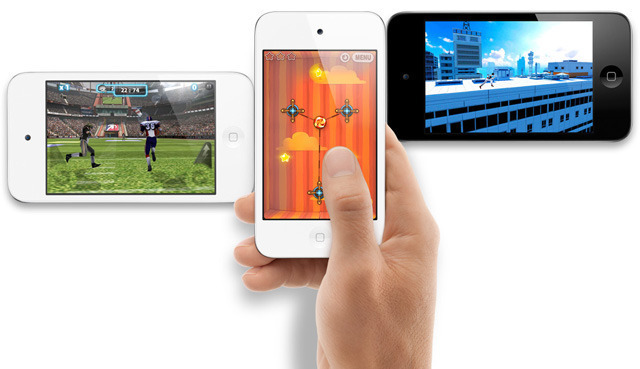 If the A5 makes mobile gaming awesome, why isn't it in the iPod touch? When Apple introduced the iPhone 4S on Tuesday, the company took great pains to show off the A5 processors' ability to make games "really scream," claiming twice the computing performance and seven times the graphics performance of the iPhone 4's A4 processor. But Apple did virtually nothing to the iPod touch, arguably one of the most popular mobile gaming devices on the market, except slap on a coat of white paint and knock $30 off the entry level price. If the A5 is so awesome for gaming, why then didn't Apple upgrade the iPod touch's A4 processor?